. EDIMAX Long Range N300 2T2R PoE Ceiling Mount Access Point. EDIMAX Long Range N300 2T2R PoE Ceiling Mount Access Point. EDIMAX Long Range N300 2T2R PoE Ceiling Mount Access Point. Multiple SSIDs. Fast Roaming. Seamless Mobility. Supports Edimax Pro Network Management Suite. 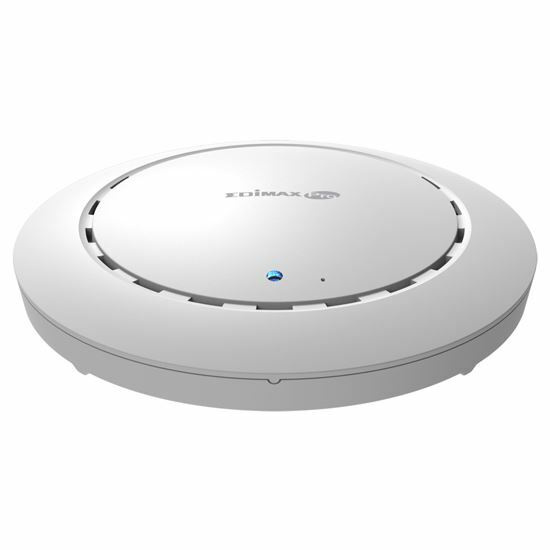 The CAP300 is a reliable and affordable entry-level wireless access point designed to meet the needs of modern small to medium-sized businesses, with IEEE802.11n wireless speeds up to 300Mbps. Industrial-grade performance and build quality combined with user-friendly operation, an extensive feature set and a practical, ceiling-mount design make an ideal product for day-to-day enterprise use. 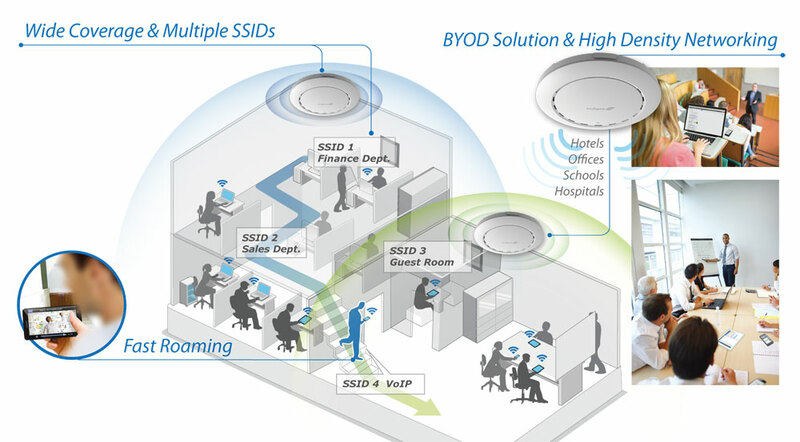 Business Environments: Affordable choice for entry-level solutions. Suitable for a wide range of commercial applications such as offices, hotels, meeting rooms, schools, campuses, resorts, retail and others.